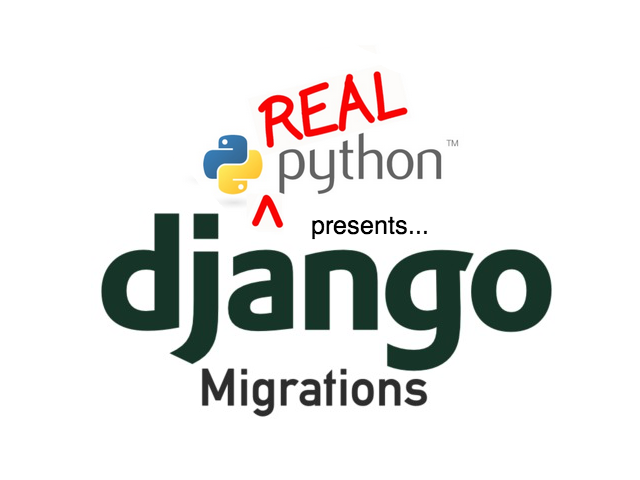 Nov 12, 2015: Updated to cover Django 1.8 specific functionality as it relates to migrations. Last time we went over the basics of using the new Django migrations system. Jumping right back in to where we left off, what happens when things don’t work as they should? Well, that’s when you may have to go searching through your previous migrations to try to figure out what’s going on. To help with that let’s dig a bit deeper to get a better understanding of how migrations work. Try this. From the bitcoin_tracker app run the migration again (./manage.py migrate). What happens? Nothing. And that’s exactly the point. By default Django will never run a migration more than once on the same database. This is managed by a table called django_migrations that is created in your database the first time migrations are ran. For each migration that is ran or faked, a new row is inserted into the table. Not very interesting because there is just one migration, but there will be new rows added for each subsequent migration. The next time migrations are run, it will skip the migration files listed in the database table. This means that even if you change the migration file manually, it will be skipped if there is already an entry for it in the database. This makes sense as you generally don’t want to run migrations twice. But if for whatever reason you do, one way to get it to run again is to first delete the corresponding row from the database (Do note this is not an “officially recommended way”, but it will work). In the case of upgrading from South the first time you run migrations, Django will first check the database structure, and if it is the same as the migration (i.e., the migration doesn’t apply any new changes) then the migration will be “faked” meaning not really ran, but the django_migrations table will still be updated. Conversely, if you want to “undo” all the migrations for a particular app, you can migrate to a special migration called zero. It will undo/reverse all the migrations for the historical_data app. In addition to using zero; you can also use any arbitrary migration, and if that migration is in the past then the database will be rolled back to the state of that migration, or rolled forward if the migration hasn’t yet ran. Pretty powerful stuff! What about creating the actual migration file? In other words, what exactly happens when you run ./manage.py makemigrations <appname>? Django migrations are actually creating a migration file that describes how to create the appropriate tables in the database. In fact, you can look at the migration file that was created. Don’t worry: It’s just Python. Don’t forget to git add the new migrations directory so it is version-controlled. For a migration to work, you must create a class called Migration() that inherits from django.db.migrations.Migration. This is the class that the migration framework will look for and execute when you ask it to run migrations (which we will do later). The Migration class contains two main lists, dependencies and operations. The dependencies object is a list of migrations that must be ran prior to this migration being run. The dependency above says that migrations for the main app must be run first. Be sure check out the video to see examples of utilizing foreign keys and how they affect the dependencies within the migration files. This is a dependency for the file called 0001_initial from the main app. Dependencies can also be combined so you can have multiple dependencies. This functionality provides a lot of flexibility, as you can accommodate foreign keys that depend upon models from different apps. It also means that the numbering of the migrations (usually 0001, 0002, 0003, …) doesn’t strictly have to be in the order they are applied. You can add any dependency you want and thus control the order without having to re-number all the migrations. CreateModel: You guessed it: this creates a new model. See the migration above for an example. DeleteModel: removes a table from the database; just pass in the name of the model. RenameModel: Given the old_name and new_name, this renames the model. AlterModelTable: changes the name of the table associated with a model. Same as the db_table option. AlteIndexTogether: changes the set of custom indexes for the model. RemoveField: We don’t want that field anymore… just drop it. RenameField: Given model_name, old_name and new_name, this changes the field with old_name to new_name. RunSQL: This allows you to pass in raw SQL and execute it as part of your model. RunPython: passes in a callable to be executed; useful for things like data loading as part of the migration. You can even write your own operations. Generally when you run makemigrations, Django will create the necessary migrations with the appropriate dependencies and operations that you need. However, understanding the migration files themselves and how they work give you more flexibility. Now running ./manage.py makemigrations again will produce a new migration file 0002_auto_<date_time_stamp>. Notice the ‘dependencies’ list which declares that we have to run our initial migration prior to running this one. Also this migration has two operations - AddField, which creates our newly added market_cap, and AlterField, which updates the max_digits of our price field. It’s important to understand that these operations just call the migrations framework, which handles performing the various operations against the database that is defined in your settings.py file. Out of the box migrations have support for all the standard databases that Django supports. So if you stick to the primitives listed in dependencies section you can manually create whatever migration you want, without having to worry about the underlying SQL. That’s all done for you. Doing that will list out the underlying SQL curious that will be generated by the specified migration, based upon the database in your settings.py file. Run this a couple of times and you will really start to appreciate the power of migrations! We’ve come to another end, but there’s one more beginning. In the last post, we’ll look at Data Migrations. Cheers!